Want to make your trip to Muckrach even more adventurous? 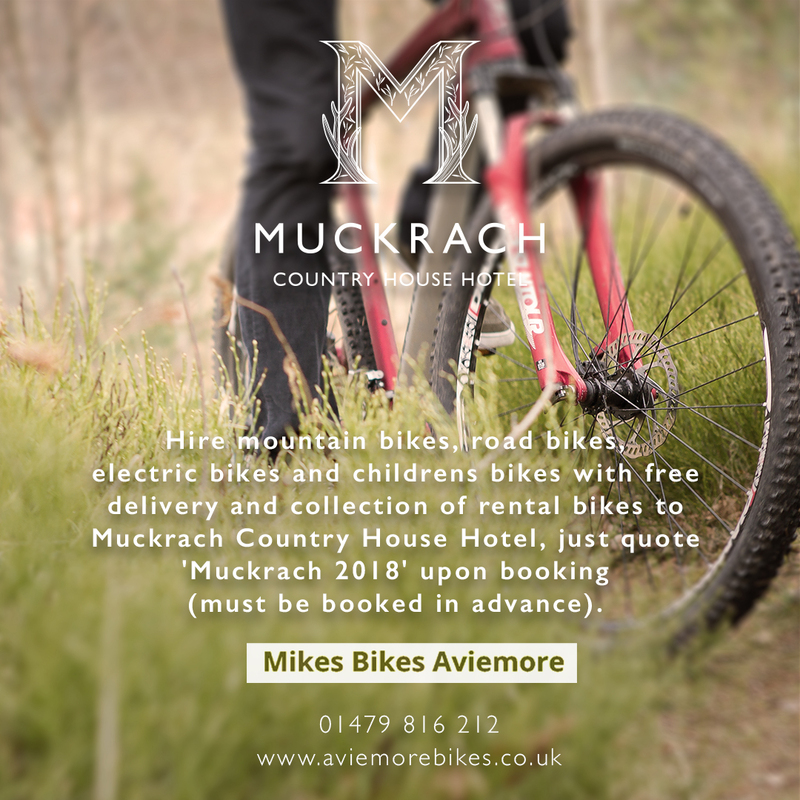 Mikes Bikes Aviemore, Bike Hire and Guiding Centre is conveniently located in the Dalfaber Industrial Estate at the start of National Cycle Route 7. Mikes Bikes hires out a range of mountain bikes, road bikes, electric bikes and childrens bikes and offer weekly guided mountain bike rides. In addition their main shop in Aviemore stocks a wide range of parts, accessories and bikes plus has a large workshop for any problems you may have with your own bike! You will find them at ..